Openspending: from one district to an entire country – Open Data Aha! In 2013 the Open State Foundation started Openspending by releasing the finances of one of the districts of Amsterdam. This week our work resulted in the sustainable publication of financial open data of all Dutch regional and local governments. The data consisting of budget and spending, annually and quarterly, from 2010 onwards has been made available and new data will automatically be added to Openspending.nl. Open State, with support of the Dutch Interior Ministry, asked all Dutch municipalities, provinces and water boards to release their Iv3-data (information for third parties). These are financial reports that every local and regional governments periodically send to the Statistics Netherlands. 203 governments responded to our request by sending their data. This was one of the reasons Statistics Netherlands decided to publish the 2012 and 2013 finances of all Dutch municipalities as a trial. This trial was successful and as a result Statistics Netherlands published all the Iv3-files of all Dutch local and regional governments as open data. Only the water boards are still unavailable, but will be released in November. Geld, Rob Croes (Anefo), Collection: Beeldbank Nationaal Archief, CC-BY-SA 3.0. In the last weeks Open State added all the new data to Openspending. More then 15.000 reports are now available at Openspending.nl, which makes it possible to get insight in 393 municipalities, 24 water boards and 12 provinces. It is also possible to compare the financial results of governments and perform benchmarks. The data has been released as open data which gives users the opportunity to build apps with the data and do their own calculations. This machine-readable data gives insight in the income and expenditure, planned and realized, of all Dutch local and regional governments. The free availability of this information strengthens the information position of representatives, journalists and citizens. This is an important goal of the Open State Foundation. For the first time governmental shared organizations of the government have been added, official entities in which multiple governments collaborate. Dutch governments collaborate on a broad variety of topics like security, shared services, waste, environment and health care. In 2010 the Netherlands had 88 of these shared organizations which increased to 126 in 2014. Representatives complain about a lack of influence, control and transparency regarding these shared organizations. It is often not clear how much money revolves in these organizations and how you can influence them if multiple governments have to agree upon a change. Transparent finances of these shared services contribute to the democratic control of these organizations. Continuous publication of all Iv3-data is the first milestone towards financial transparency in the Netherlands. 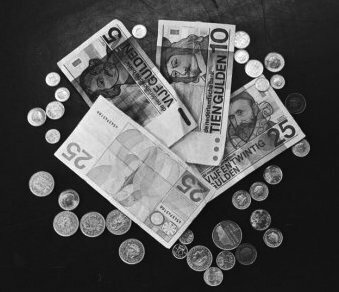 Research conducted by the VU University Amsterdam showed that representatives, journalists and civil servants were in need of more detailed financial information. Iv3-data offers three levels of detail and the most detailed level gives you information like ‘other transactions’ and ‘purchase of non-durable goods’. Open State has been working with two pioneers, the province and municipality of Groningen, to release their detailed financial reports. These reports give insight in which non-durable goods have been bought and add one or two extra layers of detail. We expect to publish the results on Openspending in the course of October. Meanwhile Open State will be adding the detailed financial reports of five extra municipalities later this year.